WhatsApp is, no doubt, the largest end-to-end encrypted messaging network that allows over billion of its users to send messages, photos, videos, voice messages, documents, and calls that are secure from falling into the wrong hands. And now it seems like WhatsApp is rolling out a much-awaited feature for the new beta versions of its Android app: Video Calling. 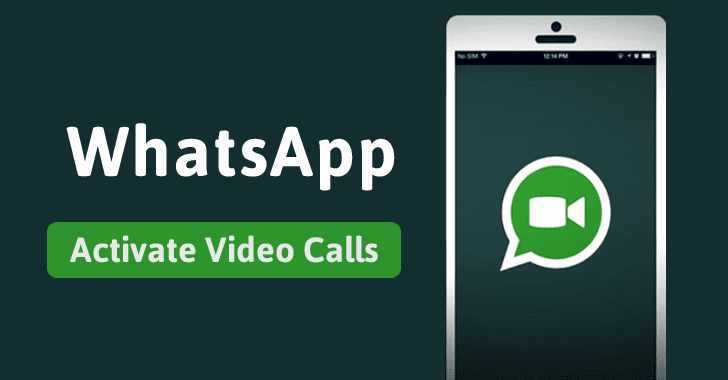 New beta version 2.16.318 of WhatsApp brings the ability for users to conduct free video calls, though it is not clear, at this moment, whether the Video calling feature of WhatsApp provides end-to-end encryption. In order to activate video calls, you simply need to pull up a contact in the WhatsApp app, tap on the call icon and choose "Video Call." You can also go direct to the Calls tab to begin with the option. The Video calls will only work if both the caller as well as the receiver have the same beta build of WhatsApp that supports the feature. If not, you will be notified with an error message that your contacts needs to update their app. For now, the Video calling feature is limited to WhatsApp’s recent beta builds, reported Android Police, which first spotted the feature. So, you either need to sign up to become a beta tester and update to WhatsApp (Beta) straight from the Google Play Store or download the latest build for WhatsApp Android from APKMirror and give it a try. However, even if the feature doesn’t work, there is a possible trick that you can try in order to activate the WhatsApp Video Calling feature. Log in again on WhatsApp. You can try the above trick that had helped some users activate the video calling feature, but make sure you successfully backup your chats first. Reportedly, WhatsApp Video Calling feature also provides an option to mute the call. You can even switch between the front and rear camera on your phone, just like any other video calling apps. Your app’s call history list now displays both video and voice calls. With its release in a stable version for over 1 Billion users in the coming weeks, the WhatsApp Video Calling feature could effectively ruin the market for Google’s video calling app Duo, which has been released just few month ago.